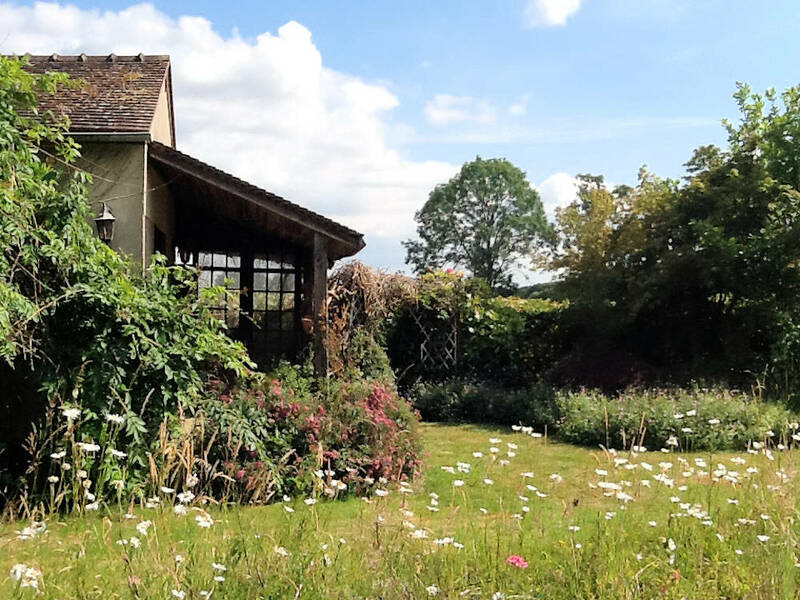 This delightful home is set on a peaceful lane on the edge of the pretty and sought-after village of Lisle in the heart of the Dordogne countryside lying midway between the famous towns of Brantome & Riberac, both approx. 12 miles (20 mins). Offered ready to use with light spacious rooms throughout and benefitting from 4/5 double bedrooms including a master with dressing area. The property comes double glazed and has oil fired central heating. There is an attached garage and separate stone building that may lend itself to conversion to holiday cottages. Ideally placed for easy access to the historic and vibrant city of Perigueux where you will find ancient streets to wander, superb restaurants and plenty of shops to explore. For those who need easy access to and from the UK low cost flights are available at Bergerac airport less than an hours’ drive. The ferry ports of Caen and St Malo are approx 5hrs drive, making the home convenient for holiday use and visiting friends and family. Entrance: Approx. 2m X 1.8m with tile floor and stairs to first floor. Kitchen / Breakfast Room: Approx. 4m X 3.8m with fireplace, fitted units with ample worksurface, fridge space, cooker point, double sink, plenty of room for a breakfast table amd door to the front gardens and front terrace. Ground Floor Double Bedroom: Approx. 3.5m X 4.5 with rear aspect. Walk-in storage. En-suite bathroom, with bath and shower over, basin and WC. Family Shower Room 2: Spacious shower room with basin and shower. Mezzanine Area – Ideal for child’s bedroom, play area or office area. Gardens / Outside: To the front is a good-sized plot of land with woods. The front gardens are walled and there is a terrace to the front. Drive way parking for 1 car to the front plus 2 to the side and access to the garage. Gardens run all round the property. To the rear there is further lawn areas, established shrubbery and trees including some fruit. Good views down to the valley. Above ground pool measuring approx 7.8m X 3.7m. 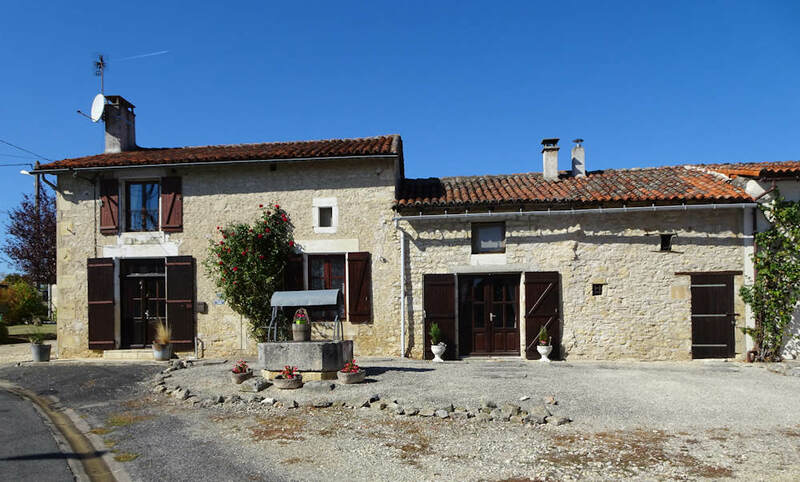 Stone Building – Ideal for storage or would convert to 1 or 2 gites (STP) Stone construction with a bread oven at the rear.